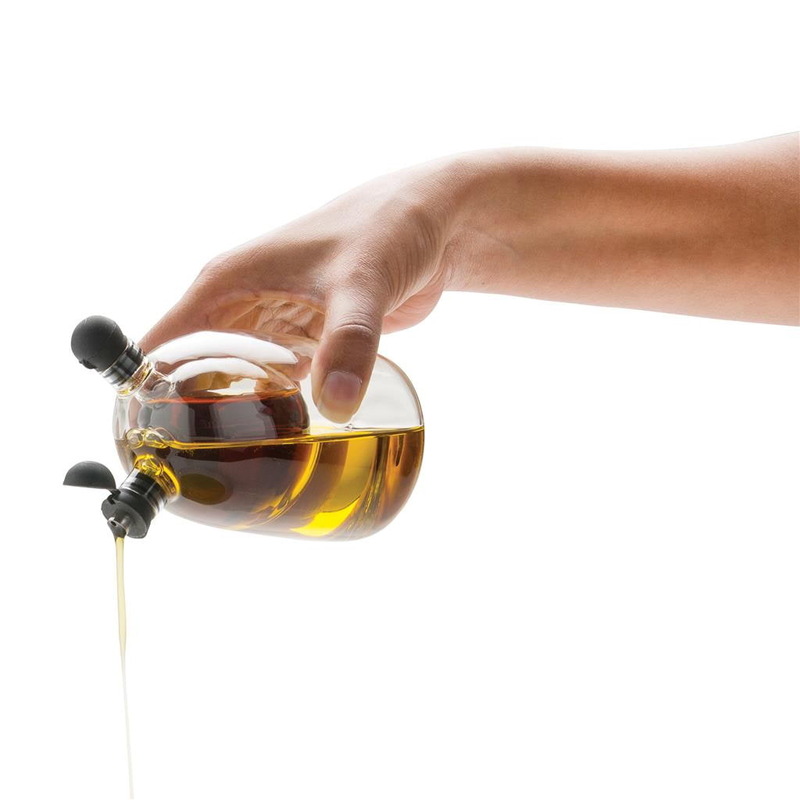 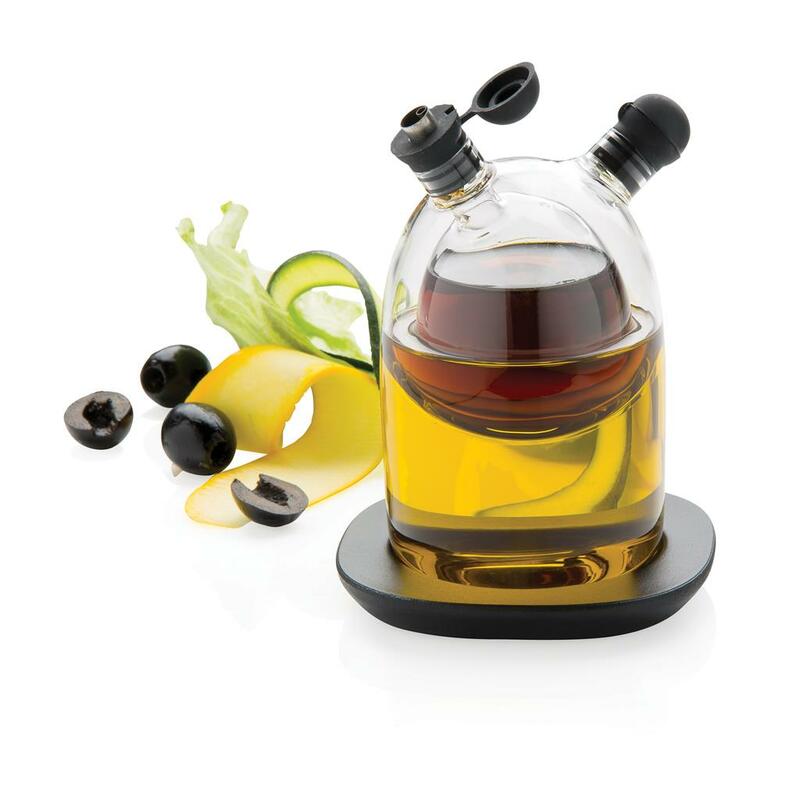 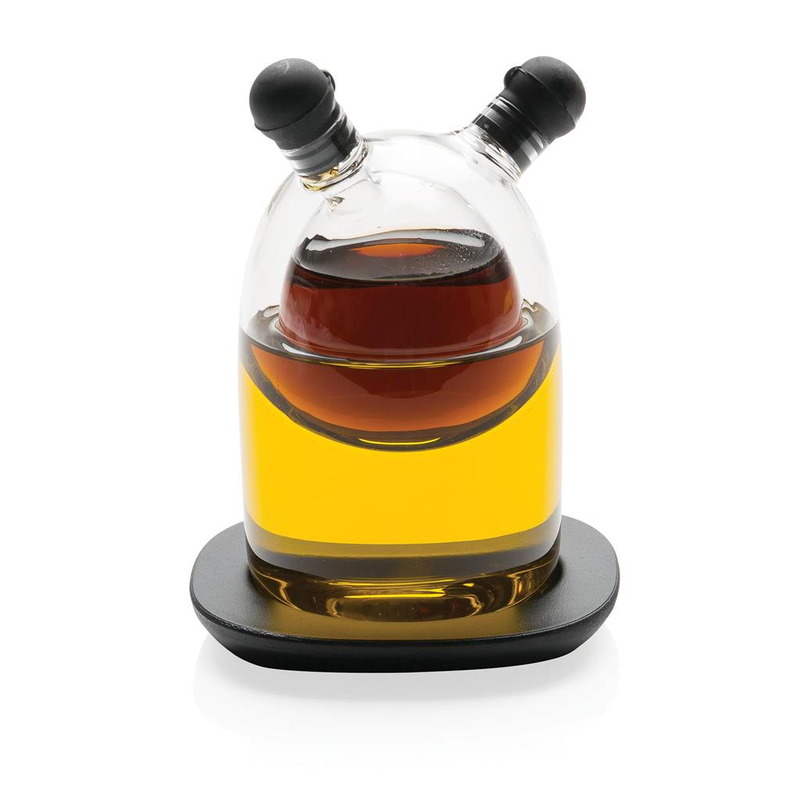 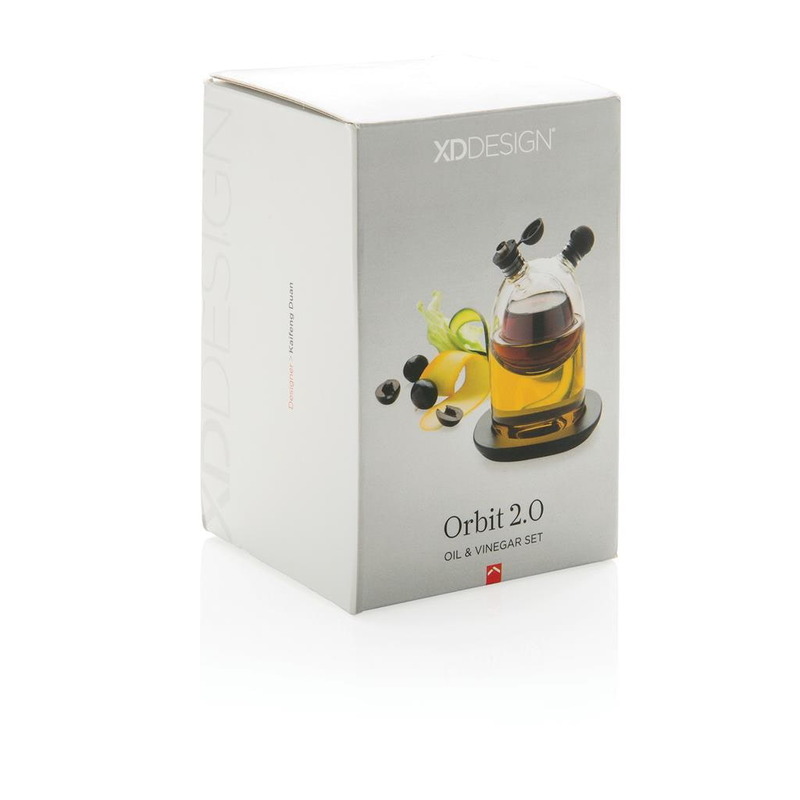 The new Orbit 2.0 oil & vinegar set by XD Design is a stylish mouth blown glass globe which can hold both oil and vinegar. 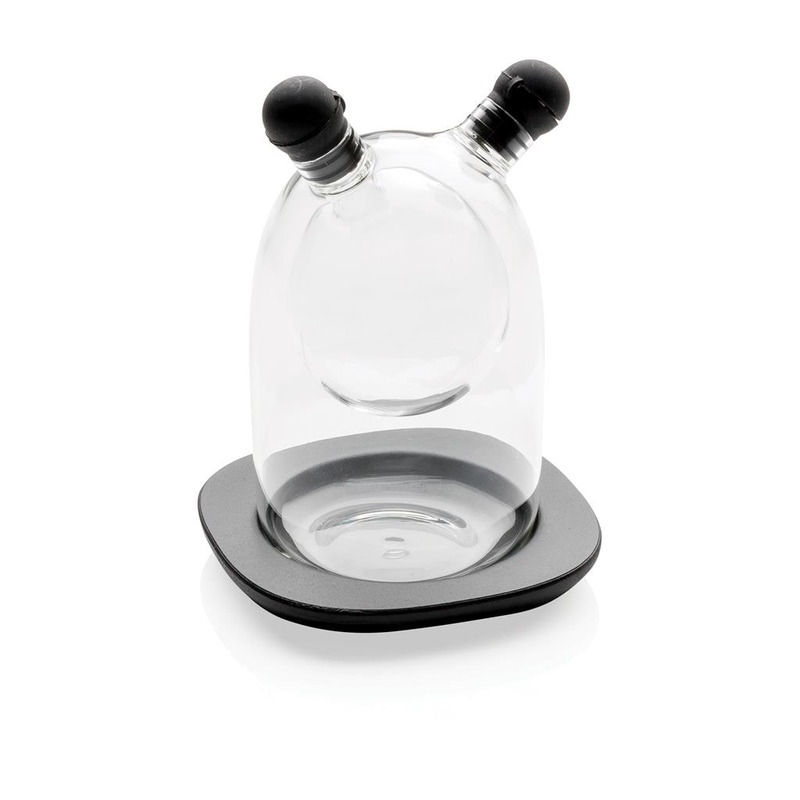 It features two chambers: inner capacity of 60 ml and outer capacity of 140ml. 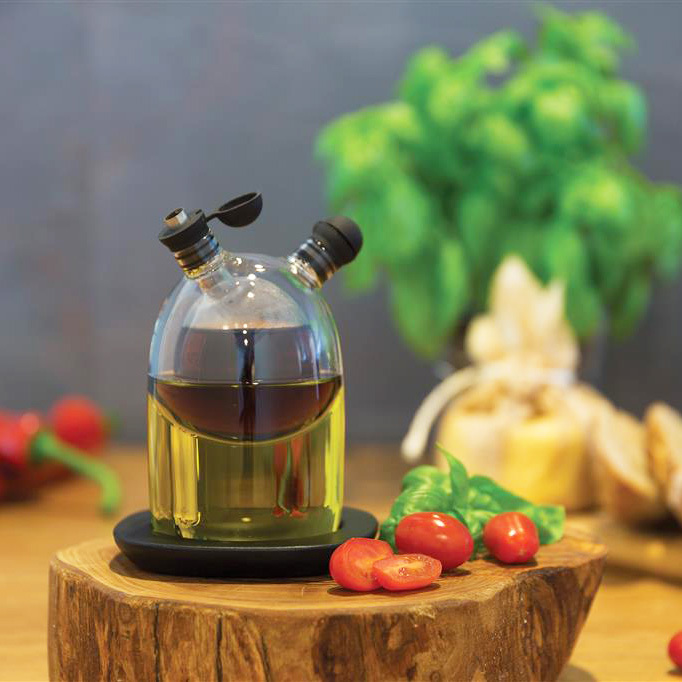 Black painted wooden base, two drip proof stops are made of rubber. 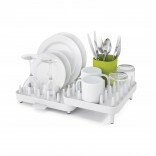 Dimensions: 7 x 7 x 12,5 cm. 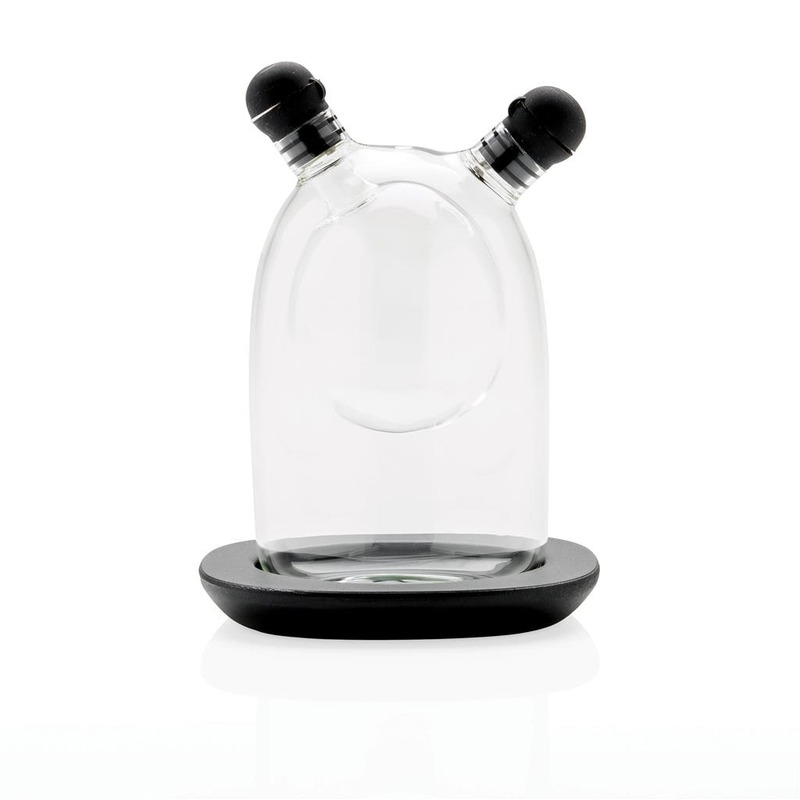 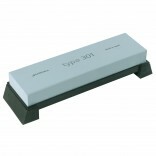 Material: Blown glass, black painted wooden base, two drip proof rubber stops.